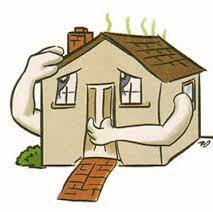 How to combat Indoor Air Pollution | What is Household Air Pollution? 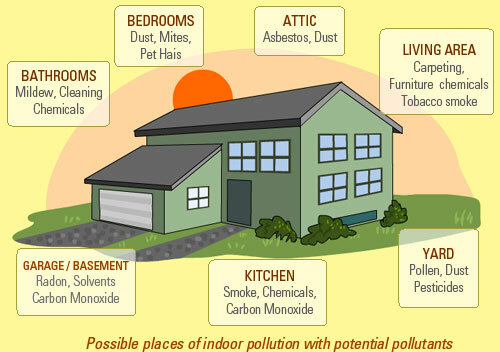 What is indoor air pollution? What is household air pollution?It is commonly recognized that to achieve safe, comfortable and efficient working conditions inside a building, there needs to be a supply of clean and fresh air. 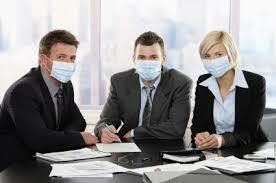 Conversely, the presence of contaminated air is a common cause of Sick Building Syndrome. 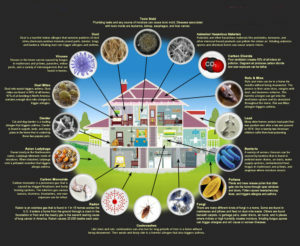 According to environmental health experts such as the US Environmental Protection Agency, Sick Building Syndrome is often linked to poor indoor air quality which may result from biological contamination, like bacteria, pollen, molds, VOC‘s and viruses that may breed in air duct system, humidifiers and also drain pans. Inevitably the air duct system become dirty over a period of time. 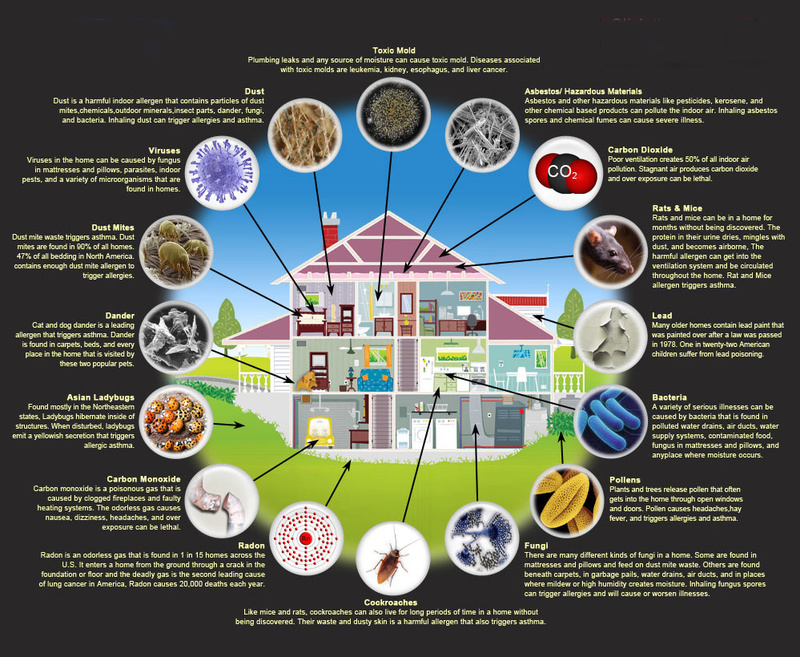 The severity and rate of contamination can be attributed to some number of factors. However it can be possible to deal with these problems through a sensible program of hygiene cleaning. For example, this may be as simple as changing the filters on a regular basis. Moreover, the Associated Code of Practice from the Health and Safety Commission in the UK requires that building ventilation systems need to be regularly and thoroughly cleaned and maintained in order to ensure that they remain free from anything which may contaminate the incoming air. Consequently, in order to maintain a clean air supply, it is essential that the air ducting in your heating, ventilation and air conditioning system (HVAC) are all cleaned through a regular program of air duct maintenance. There are now a large number of reputable companies that specialize in air duct cleaning. Some cleaning companies are equipped to address the residential air duct cleaning market, whilst other companies are primarily able to clean commercial air duct cleaning. In Europe, domestic air conditioning is not particularly widespread, so most duct cleaning companies will be geared towards large-scale systems. A specialist duct cleaning company will have access to a wide variety of extraction devices and specialized air jets and brushes specifically designed for the purpose, that enable them to remove contamination from the ducts and disinfect where necessary, depending on the configuration and design of your system. An air duct system is generally cleaned in a particular direction aligned with the air flow, and the same is true for an extract system. Moreover, contractors often find that existing duct systems usually have insufficient access points to enable cleaning. If this is the case then they can also install the access doors throughout the air duct system to enable regular inspection, cleaning and disinfection to be properly undertaken. Once installed, the contractor will normally ensure that the location of the new access doors are captured on the client’s duct plans. Following on from the mechanical cleaning stage, the internal surfaces of the ducts are often sanitized in order to afford ongoing protection against microbial contamination developing. A sanitizing emulsion is generally sprayed or atomized within the ducts so as to form a coating in the internal surfaces. The contractor will also be able to provide formal certification that the system has been cleaned in accordance with an established standard (for example in the UK the TR/19 best-practice guide from the HVAC is widely recognized). Always choose the best contractors to give you the best services.